A brazen act of disrespecting temple of education, a school, was witnessed in Uttar Pradesh's Mirzapur District. A government primary school, situated in Tetriya village of Jamalpur, was turned into a dance bar on the occasion of Rakshabandhan. A program, attended by village heads of nearby areas, organised a dance act, where the girls were seen on dancing on Bhojpuri songs. 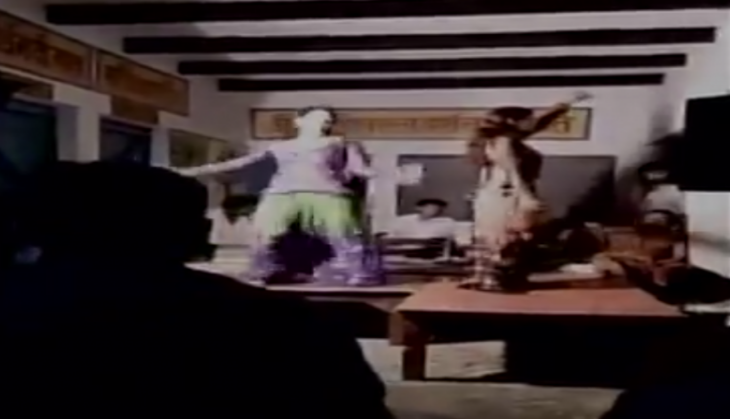 The video of the same has gone viral, and also shows the village heads trying to match their steps with the dancers as well as showering money on girls. Primary Education officer Pravin Kumar Tiwari said investigation will be done in the same.